Martinez had a 3 Slash line of .312/.418/.933. He smacked 309 HRs. 514 Doubles and had 1261 RBI. Will he be the 1st ever Primary DH to be inducted into the Hall? Or will 2247 Career Hits and suspicions of PED Use prevent him from being elected? Harold Baines was somewhat of a pioneer of the DH position, as he was one of the early greats. His 22 Year Career started in 1980 with the Chicago White Sox, and ended for the same team in 2001, although he had stints with the Rangers, Athletics, Orioles, and Indians in between. Baines was a regular Outfielder for the White Sox until the ’86 season – where knee problems all but ended his fielding career. 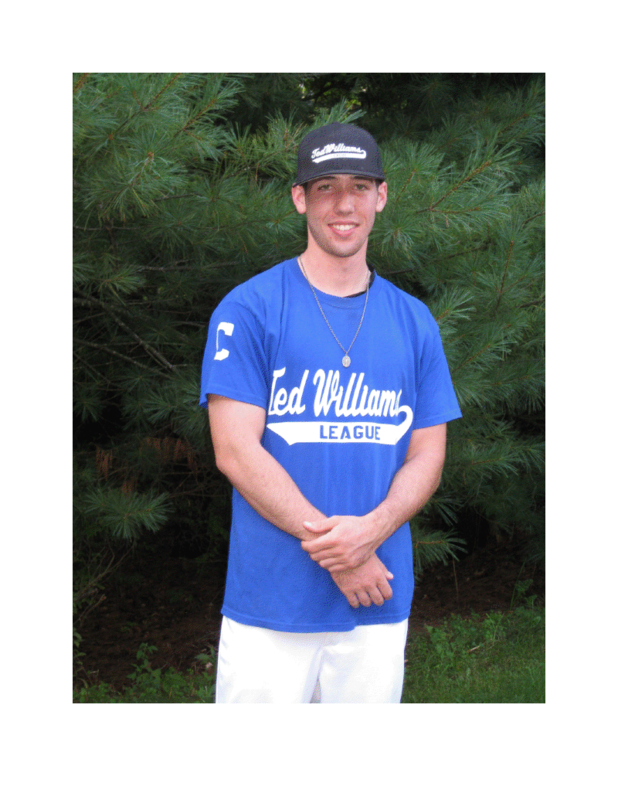 With Baines well-rounded, Left-hHanded stroke at the plate, he etched out a place in baseball history that will leave him remembered by many. Baines was a .289/.356/.465 Career Hitter. He amassed 2866 Hits, 384 HRs, and 1628 RBIs during his 2830 game career. He hit best during his sporadic tenure with the Baltimore Orioles coming up with a slash line of .301/.379/.502 – which lead to him being inducted into the Orioles Hall of Fame. Oddly Baines “Oriole years” didn’t begin until he was 34, which is generally considered an age where players numbers may start to trend in a downward direction. While Baines is in the Oriole Hall of Fame, he will not be headed to Cooperstown as he received less than 5% of the vote in 2011, dropping him from the ballot. Baines was a 6 time All-Star selection and received one silver slugger in 1989. His #3 is now retried by the Chicago White Sox where he is currently a hitting coach. 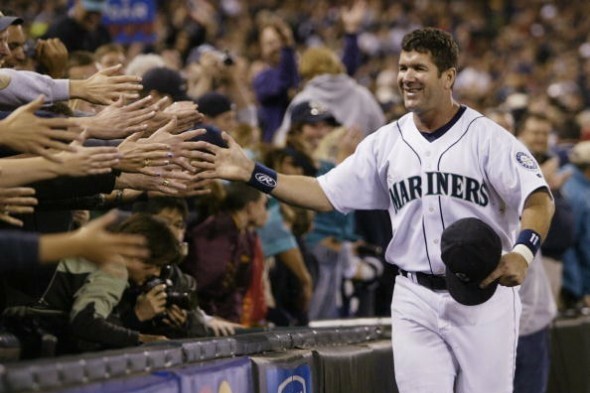 Edgar Martinez played 18 years (from 1987-2004) and all with the Seattle Mariners. He began his time as a Third Baseman, but due to torn hamstring that he never completely recovered from out of an exhibition game in Canada, he shifted his career to the DH position in ’94-‘95. Throughout his career, Edgar compiled a robust 2247 hits in his 2055 Career games, 309 of which left the park. A career slash line of .312/.418/515 with 1261 RBIs are a part of Martinez’s legend. He was a 7 time All-Star, 5 time Silver Slugger, and 2 time AL Batting Champ. He also won the Roberto Clemente award in ’04. 1995 was really a season for the ages for Martinez as he lead the league in Games Played (145), Runs Scored (121), Doubles (52), Batting Average (.356), OBP (.479), OPS (1.107), and OPS+ (185), although he still only finished 3rd in the AL MVP Voting. Edgar Martinez is indeed a part of the Seattle Mariners Hall of Fame, and also has the award for Outstanding Designated Hitter Award renamed after him. Frank Thomas received his nickname, “The Big Hurt,” from broadcaster Ken Harrelson after Thomas blasted a 450 FT bomb in a game in 1992. Thomas may have had the most raw power of any player in MLB history so the nickname was very appropriate. Thomas had a 19 year career (1990-2008) playing for the Oakland A’s, Toronto Blue Jays, and most notably from 1990-2005 with the Chicago White Sox. Thomas played a bit of First Base early in his career, but was less than successful, so he was transitioned to a Full-Time DH. Thomas had a career slash line of .301/.419/.555 – including 521 HRs and 1704 RBIs in 2322 games. For a man with such legendary power, it is not surprising that he drew a lot of walks, but he also hit for very good averages throughout his prime, which isn’t always a given. He accrued a fantastic 2468 hits. He won the ’97 Batting Title, was a 5 time All-Star (1993-1997), 4 time Silver Slugger Award Winner, 2 time MVP (1993-1994), and had his #35 retired by the Chicago White Sox. Ortiz still has an outside shot at 500 HRs for his Career. There is no doubt he has been the best DH for the last Decade in the AL. He also has time to go down as the Best DH Of ALL-Time with 2-3 more good years. David Ortiz is the only active DH that I will be discussing in this article as he is nearing the end of an illustrious career. Ortiz recently, at age 37, signed a new deal with the Boston Red Sox to play 2 more years. Ortiz first broke into the Majors with the Minnesota Twins in ’97, and had varying results with the club through the 2002 season. He then signed on to play with the Red Sox for the 2003 season where his career really took off. Ortiz has played in 1832 career games over 16 seasons, and in 2012, due to injuries, failed to play at least 100 games for the first time since Joining the Red Sox. He joined the 400 HR club in 2012 as he now sits at 401 HRs for his career with 1326 RBI. A career .285/.380/.547 hitter with 1863 hits, he is a good bet to eclipse the 2000 hit mark with relatively good health for the next two seasons. Ortiz is an 8 time All-Star, 5 time Silver Slugger recipient, and the MLB record holder for HR’s (353) and RBI (1,149) from the DH position. Add a Hank Aaron Award, a Roberto Clemente Award, with two World Series rings to his trophy room and he has quite the collection of hardware. Ortiz has never won an MVP although finishing in the Top 5 in voting from ’03-’07. During that span he never failed to hit 30+ HRs, 100+ RBI, and have a Batting Average of higher than .280. He was also part of the dynamic Manny Ramirez/Big Papi duo in these years, which certainly didn’t hurt his numbers. After sifting through all this information and more, I feel I can rank these four as the best DH’s of All-Time. The order I would rank them in would be 1. Frank Thomas 2. Edgar Martinez 3. David Ortiz 4. 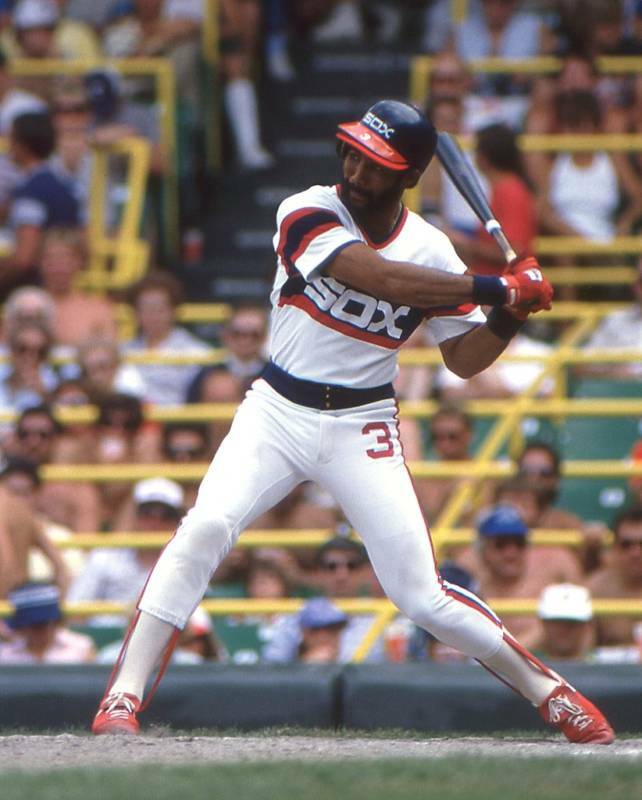 Harold Baines. Thomas was a clear first for me. He won 2 MVP’s where the rest didn’t win any. He had the highest OBP and Slugging Percentage out of the 4, and was 2nd to Edgar in Batting Average. Thomas amassed a margin of more than 100 more HRs than any other player on the list, and was just a more dominant hitter than any of the others. I had Edgar in 2nd place as he was a phenomenal overall hitter. He had the best batting average out of the 4 for his career, and won more batting titles than the rest of them. He had no shortage of power in his own right. Having over 300 HR’s is no small feat. The fact that Edgar was such staple in the Mariners lineup and produced year after year was not lost on me. He has an award named after him for a reason, he was a special hitter. 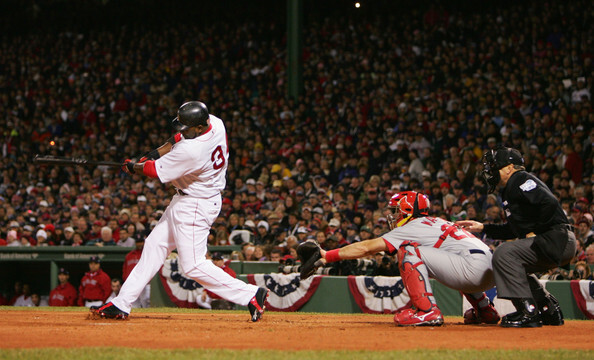 Ortiz garners the 3rd spot on my list as he may have been the most feared hitter for that 5 year span I talked about. His 10 career walk-off Homeruns can support that. If he had and resemblance of the kind of seasons he had with Boston back in Minnesota we could be talking about Ortiz challenging Thomas as far as HR’s and Slugging Percentage goes. He was a big part of 2 championship teams as well. Still active, he may climb the ladder if he can hold off ‘Father Time’ past his current contract. Baines coming in 4th is no slouch, as this list is composed of great hitters. Baines had the most hits out of the 4, and put up solid numbers throughout his whole career. Baines just wasn’t as dominant in his career as the other 3 were, only leading the league in one major statistical category, one time (Slugging Percentage in ’84). Regardless of ranking, having witnessed all 4 of these players play, I can say, not only by the numbers, but even just how they went about playing the game, these are the 4 best DH’s of All-Time. 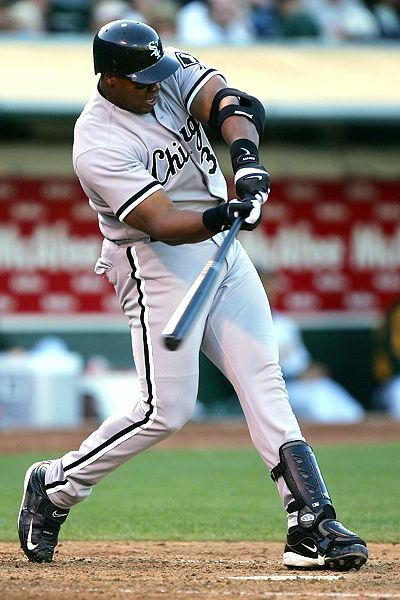 Frank Thomas was a DH for more than half the games of his Career. His 3 slash line for his Career was .301/.419/.974 with 521 HRs and 1704 RBI. He also had 8 straight years of 100 RBI+, .300+ Avg and 100 BB from 1991-1998. Posted on January 5, 2013, in MLB Player Profiles, The Rest: Everything Baseball and tagged @ryandana1 on twitter, AL Batting Champs, al mvp, athletics, baltimore orioles, Baltimore Orioles Hall of Fame, baseball hall of fame, best DH of ALL-Time, boston red sox, chicago white sox, david ortiz, edgar martinez, frank thomas, Hank Aaron award, harold baines, ken harrelson, manny ramirez, minnesota twins, oakland, orioles, rangers, roberto clemente, ryan dana, seattle mariners, Silver Slugger Award, toronto blue jays. Bookmark the permalink. 4 Comments. Baines was a great player, I would put him in the category with Al Oliver, Rusty Staub, John Olerud and Mark Grace. Great hitters that just fall a tad bit short of the BBHOF. However, Baines is remarkable that he is beloved by two sports cities in Baltimore and Chicago. The guy was a tough out. What’s Your Take On TED SIMMONS and ALAN TRAMMEL? Will It Take The Veteran’s Comity To Get Those Guys Into The Hall? If I Could Give Them Each A Vote For It, I’d Do So In A Heartbeat. Ted Simmons may have a better case because of his offensive numbers. Trammell’s defense is under-appreciated and it is unfortunate that the position exploded onto the scene as an offensive force right after he retired. he would be in the BBHOF has he played in the 60’s or 70’s for the Majority of his career. Those Tigers teams never get their credit. Maybe once Morris gets in, the Veterans Committee will take a harder look at Trammel and even Lou Whitaker.